Register with Boatshed to see 76 extra photos of this Tug Converted "Of A Bygone Era" FURTHER HUGE REDUCTION!! Note: Offers on the asking price may be considered. Built in 1939 and with the benefit of a recent hull report (Vlakreport) this characterful, tug has been very well converted , The ideal weekend boat or she would be equally home on the upper reaches of a river or coastal with her heavy displacement . This little tug has a unique history having been plying her trade in the Amsterdam Harbour itself. Her deck fittings and towing equipment are still intact and whilst she has been converted for residential use, her provenance is still very apparent. These little ships have a following and in the Netherlands and Baltic, many of these converted tugs are maintained and exhibited. 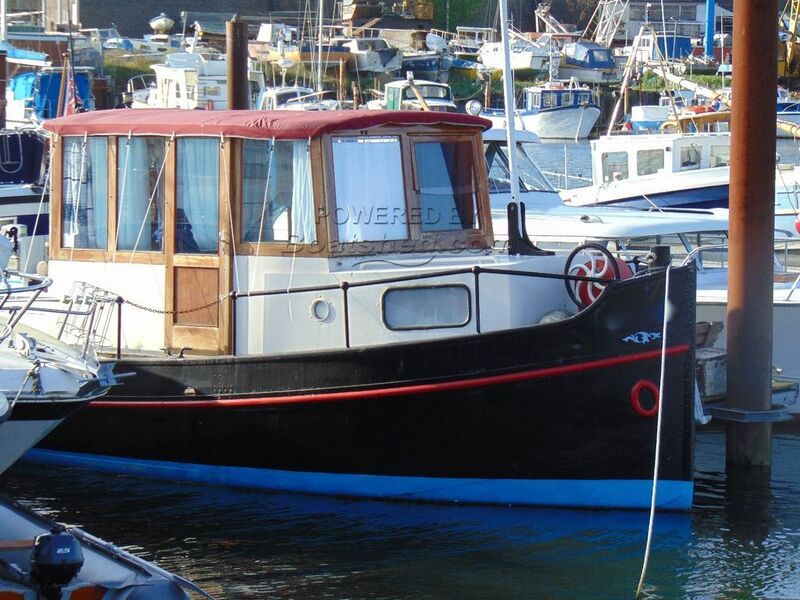 This is an opportunity to own a little piece of maritime history that is not complicated and this boat has been well maintained, the engine starts on the button, she had a Victron charging system and her bilges are immaculate , indeed a credit to her owner. She is easily handled by one person and is a pleasure to be aboard. And moored up, she is a statement in herself. Currently moored in a working harbour but enjoying a residential benefit, her mooring may be transferable upon application. So if different, historical, characterful and a little cheeky appeals you cannot ignore this little ship. NOW REDUCED!! This Tug Converted "Of A Bygone Era" FURTHER HUGE REDUCTION!! has been personally photographed and viewed by Philip Berkeley of Boatshed Suffolk. Click here for contact details.